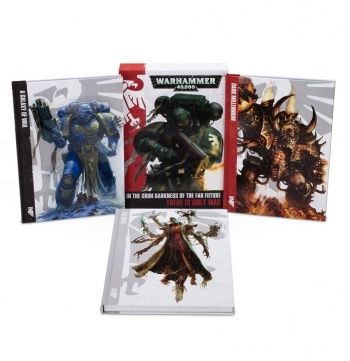 Warhammer 40,000 is a miniatures war game that allows players to control forces of good or evil to engage in battle against opponents in the grim darkness of the future, represented on the tabletop by miniatures that players collect and paint. 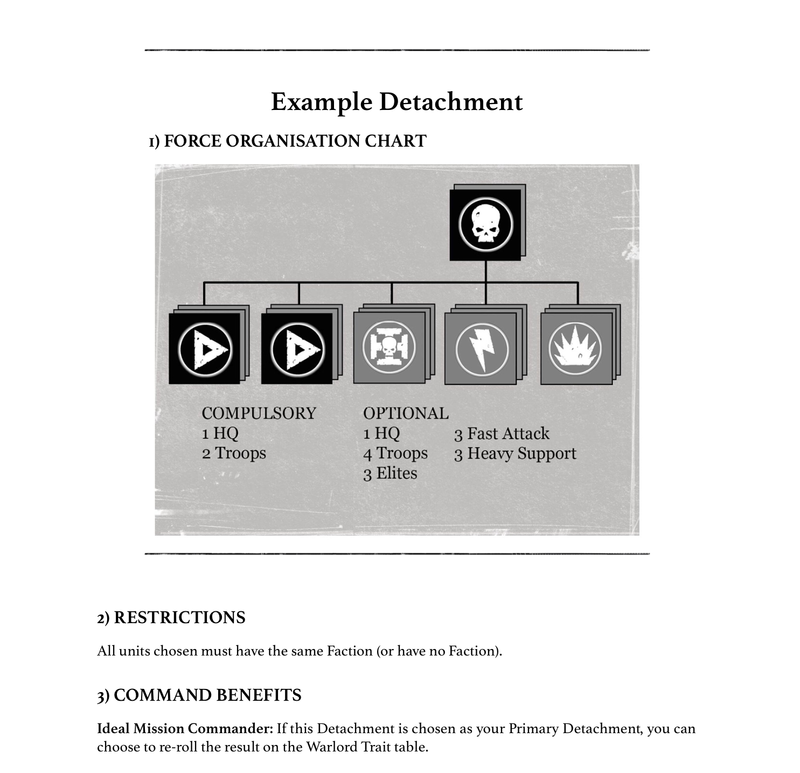 The newest set of rules, Warhammer 40K 7th Edition, has just been released, updating the game to ensure it stays fresh for players both old and new. Overall reception has been fairly positive from the player base. The first thing to note is that this is a book only release. 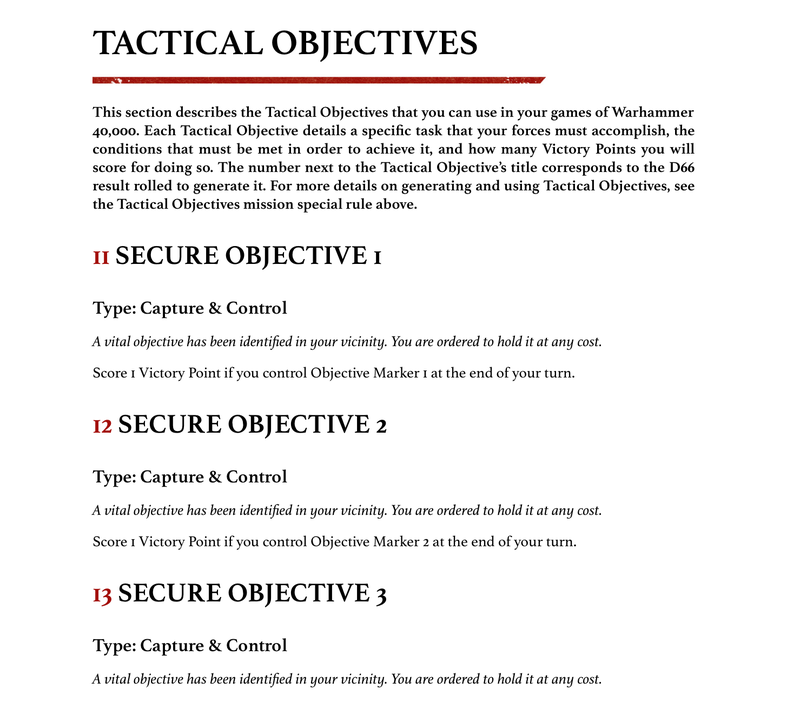 Traditionally there have been starter sets to accompany previous iterations of the rules. 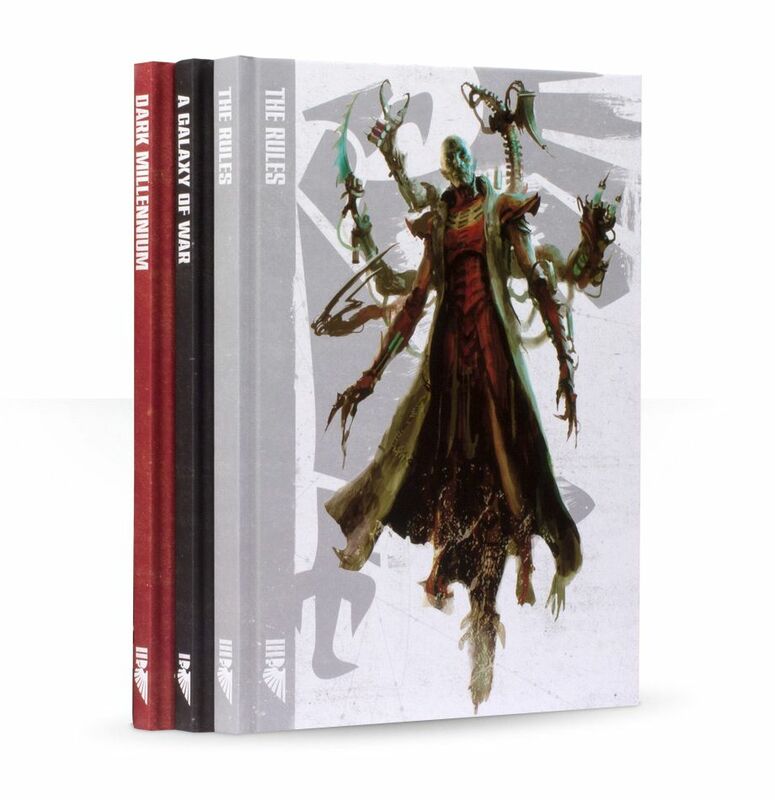 This edition however is a core set of three hardbound books in a slipcover. 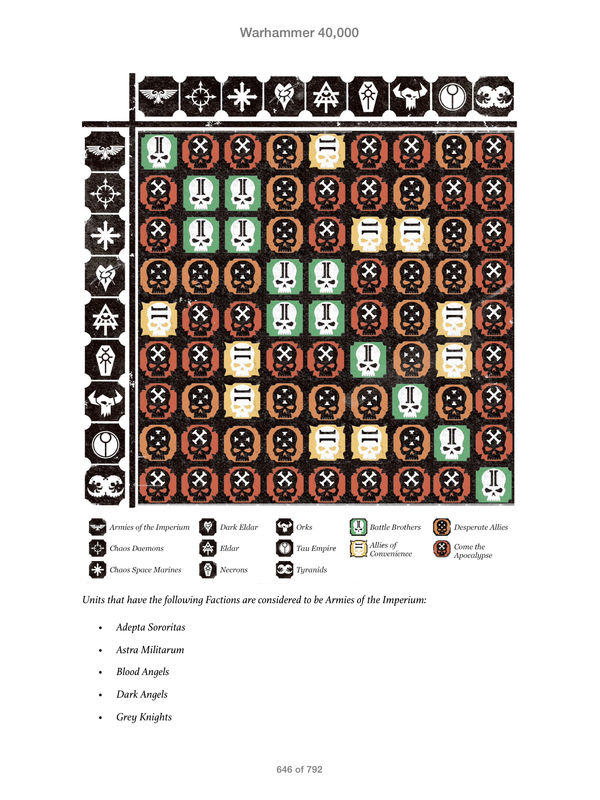 The individual books are A Galaxy of War, Dark Millennium, and The Rules. They weigh in between 128 and 208 pages, which is comparable to the size of most army codices. Notably, all three of the books are done in a lay flat style so when you place them on a table the book will lay perfectly flat without creasing the spine or pages. The first book of the set is A Galaxy of War, which is intended to be a celebration of the hobby. 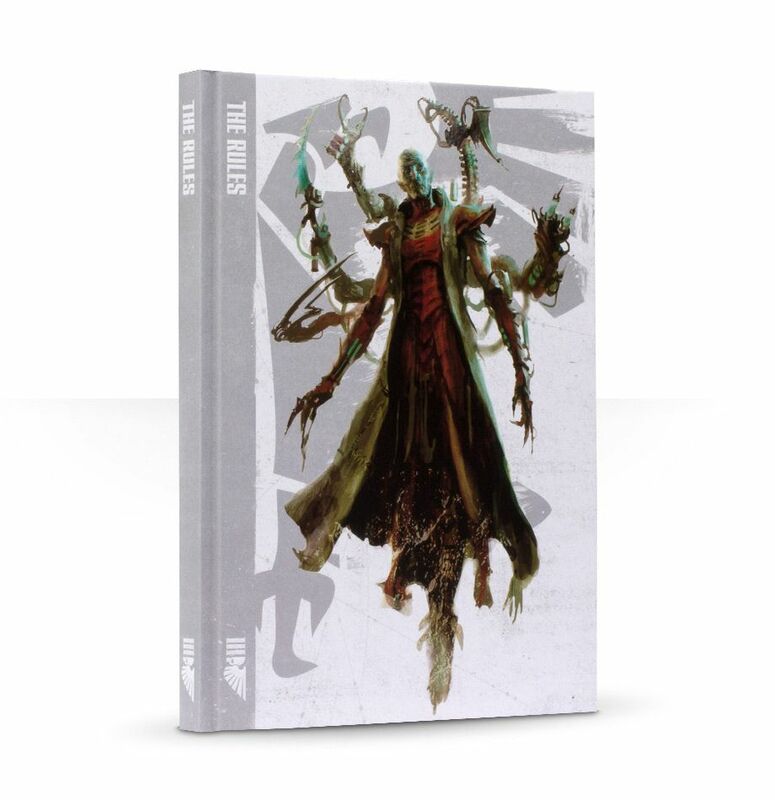 This book is all about showcasing the models of Citadel Miniatures fully painted miniatures by the Games Workshop studio painters, and they are beautifully displayed to serve as inspiration for the hobby painters and modelers out there. One of the things I did notice in the book, however, is that all of the models are presented in up-close or detail shots. While this is very good for those that are using the images as a reference point for their own work, it misses out on the mood of the time game. There is a distinct lack of of diversity in the images used, as all of the pictures follow the same format. Hobby tips beyond simply showcasing the studio work are also missing from this book. There are no mention of proper assembly, or even beginners guides to painting and color schemes. 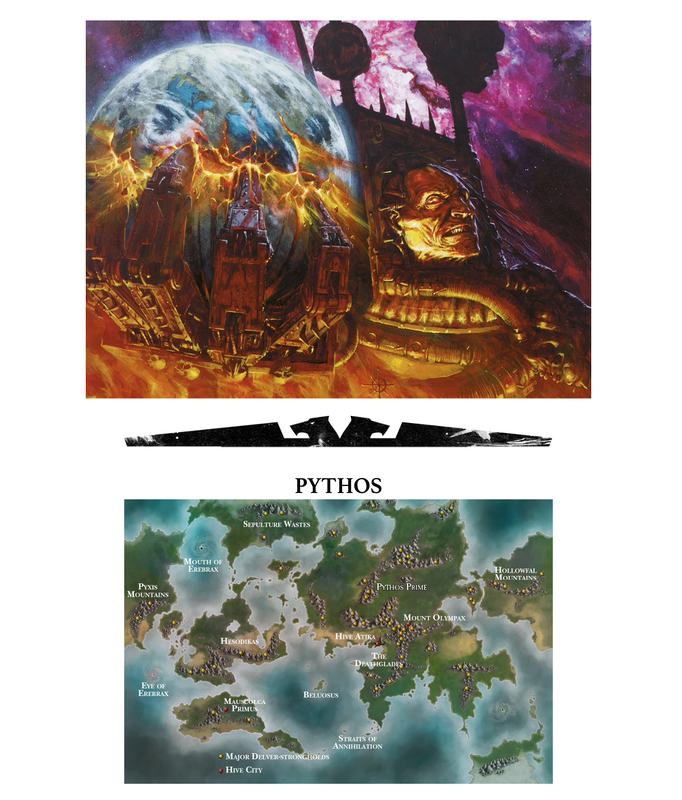 In place of these, there is a number of advertisements showcasing the various paints, tools and other products that Games Workshop produces. While I can appreciate the desire to show the various products available, there is too much advertising with little to no context or explanation to the products and why one would be interested in them. It is the same complaint that has plagued other Games Workshop publications such as White Dwarf. This book is by far the weakest of the three, and greatly misses the mark of what it set out to be. 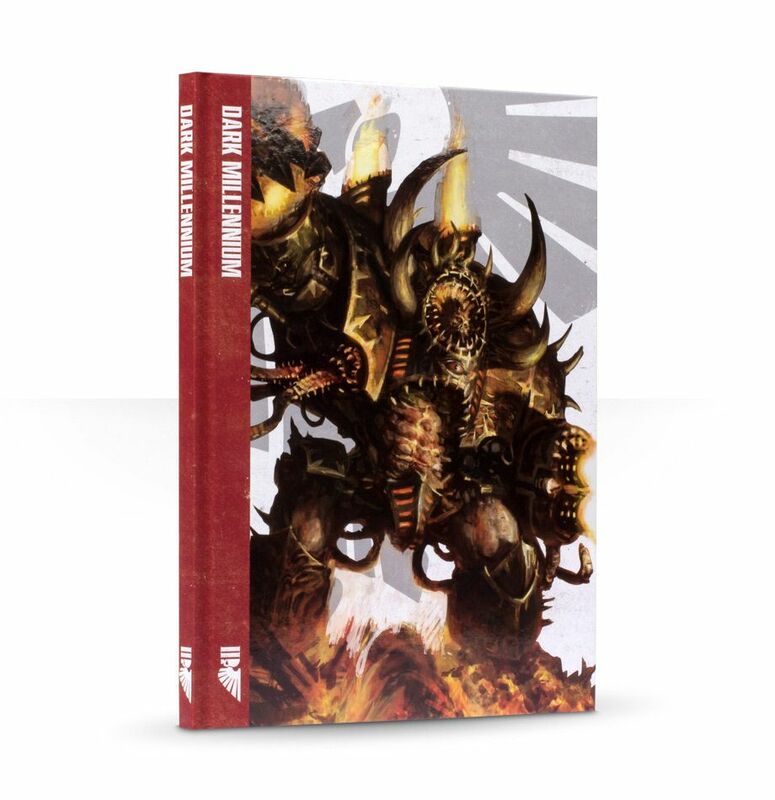 The second book of the set is Dark Millenium, which is completely devoted to the fluff of the game. 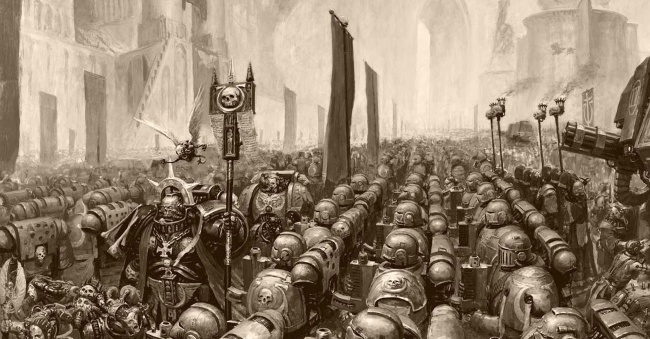 Warhammer 40k has a very rich history that has grown over the years. 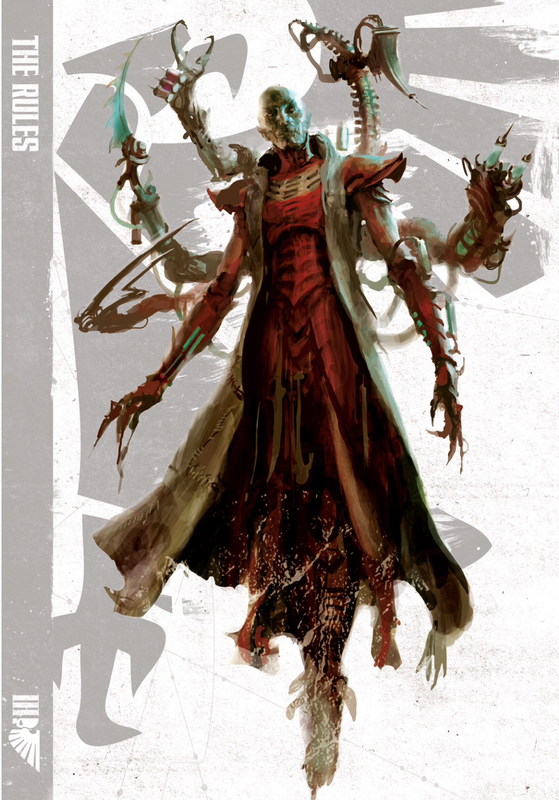 This book endeavors to give you a background on each of the factions and why they fight. 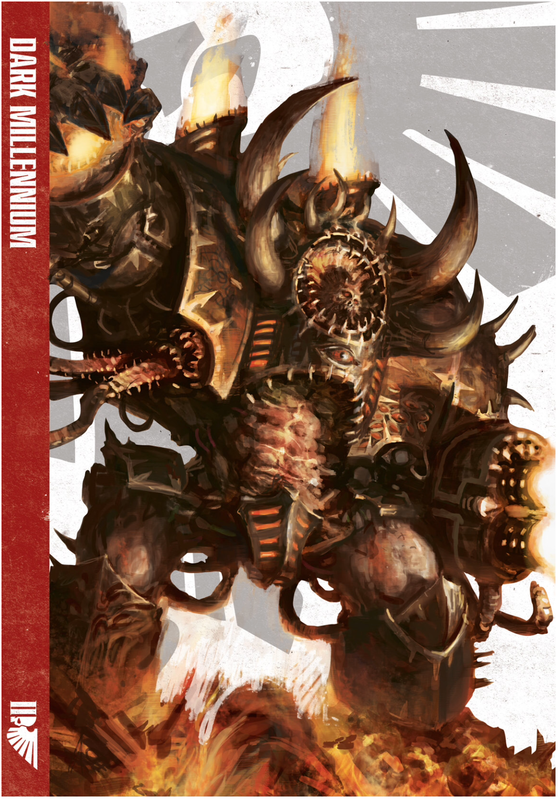 It also covers the big events from the creation of the imperium of man and before all the way up to the 41st millennium, where the current battles of the game take place. The book tends to focus more on the view of the galaxy from the eyes of the humans, or Imperium of Man. 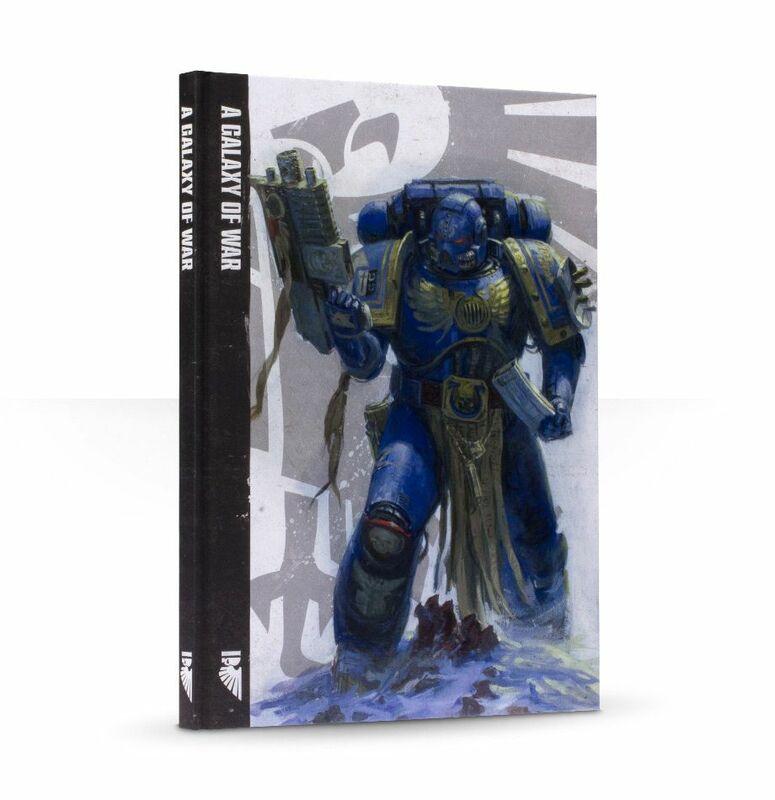 It is an interesting choice, and there are well over 70 pages devoted entirely to the Imperium. Another choice that is intriguing is that the rest of the alien races are lumped under "The Alien Menace", while the forces of Chaos, both traitor marines and demons, are lumped under "The Greatest Threat". 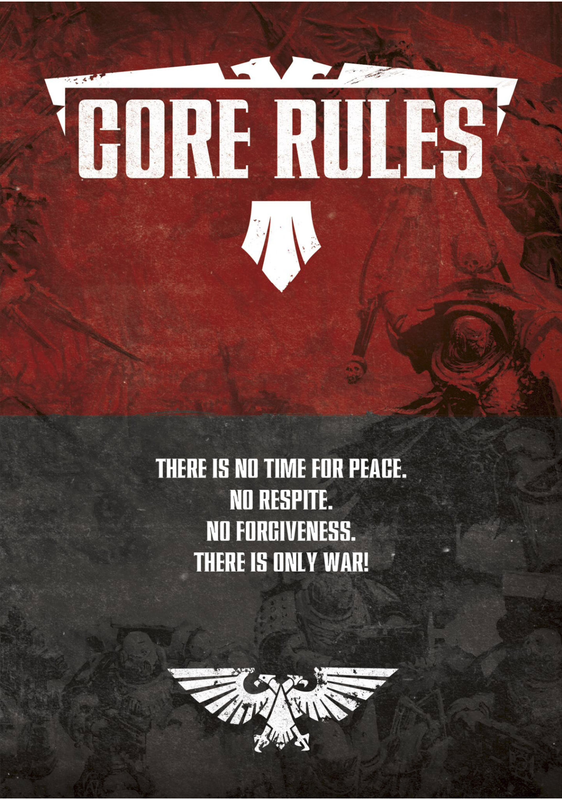 It is here we see the focus shift back to the eyes of the Imperium, which hasn't really been the case since 3rd Edition. 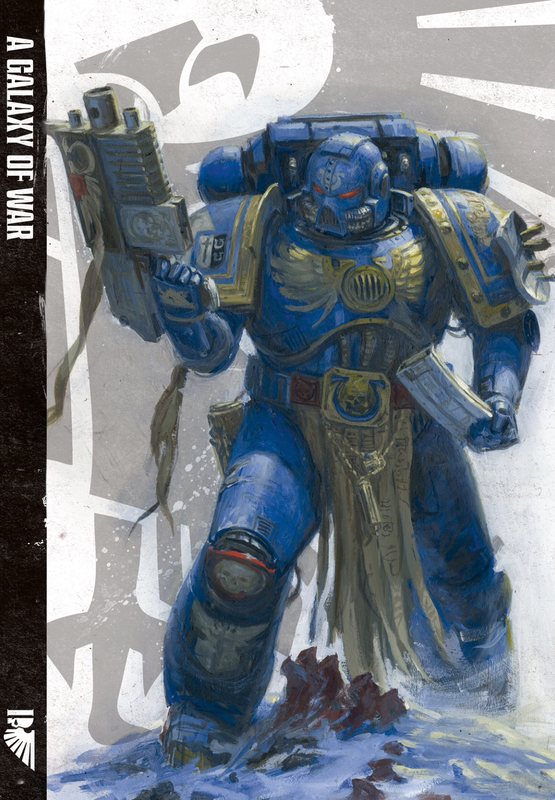 This book is more for those that are new to the game world and the universe at large, explaining what a space marine is and the various space marine chapters, as well as offering background on the various races. For veteran players, there is a lot that you will wind up skipping. New to the book, and a surprise to me, was the inclusion of the Pandorax Incusion. This was one of the Black Crusades in which Abbadon took the planet of Pythos in order to secure a gateway into the warp. This allowed him summon hordes of demons. This was a bloody and brutal campaign fought to shut down the gateway and liberate Pythos. 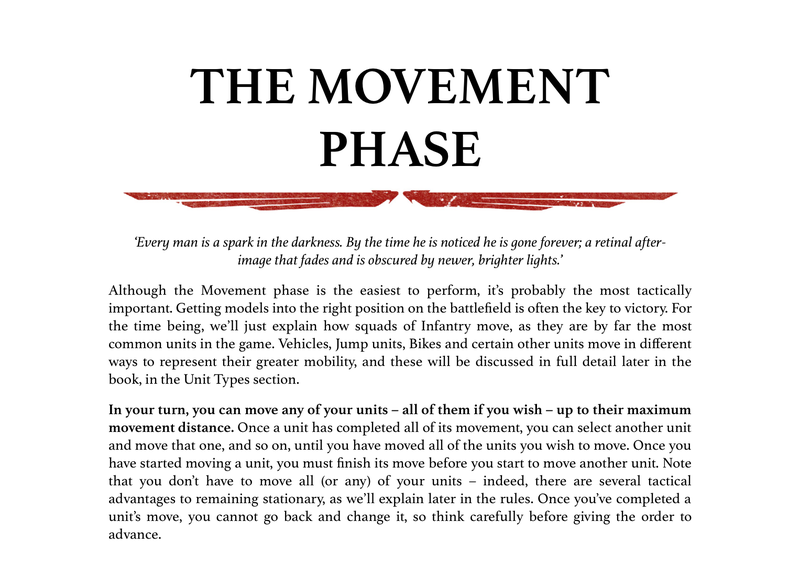 A lot of page space is devoted to this, and while at first it seems like an odd choice compared to all of the fluff that exists in 40K, it will likely be the one section that most veteran players will not skip over. It gives you a breakdown of time lines, specific characters and even the camo patterns used by the forces involved in Pandorax. 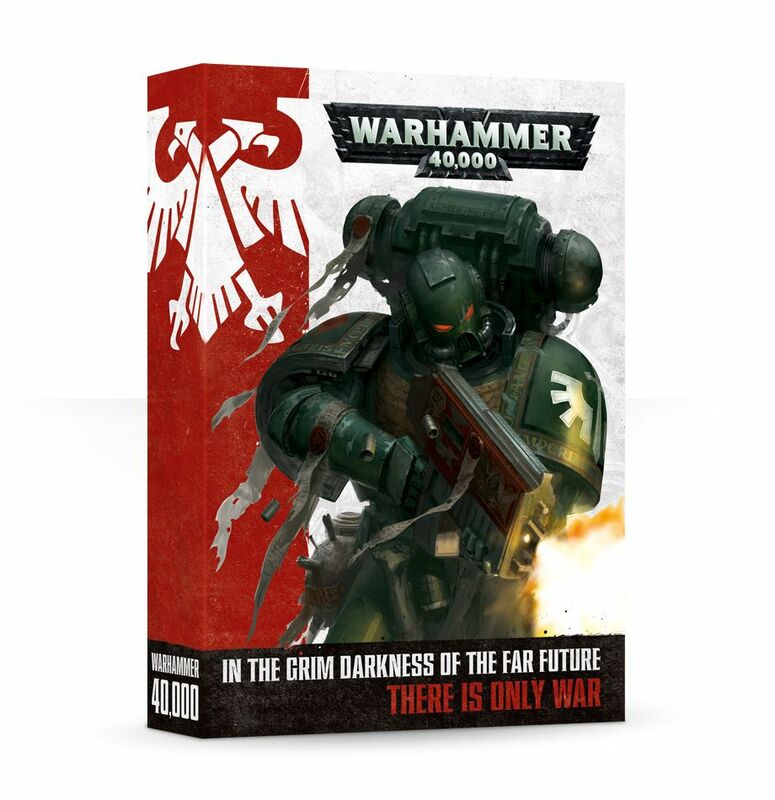 It seems as though this is primed to be the new default backdrop to the 40K universe, but it is not explicitly stated. Probably the most useful parts of the book though, as odd as it may seem, was the explanation towards the end of the book on how to make sense of how dates are written in 40K. Even as a veteran, having that break down is incredibly useful when attempting to make sense of any of the lore and back-story. 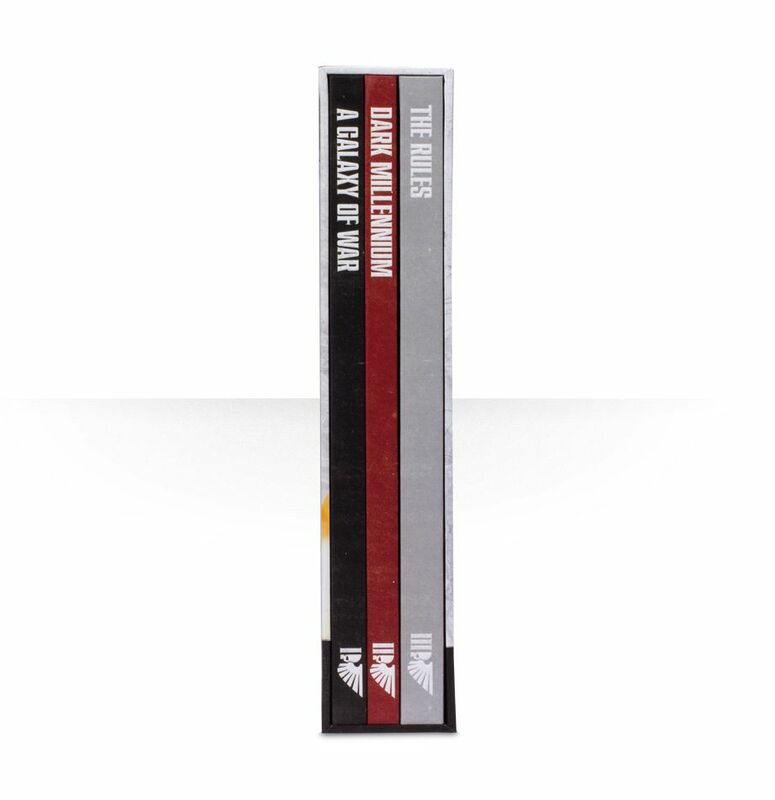 The third, and arguably the most important book of the set is simply called The Rules. The pages are very simple aesthetically, opting to remove watermarks and background images as well as use a plain block text in black and white. The red accents present are reserved for differentiating sections of the book. 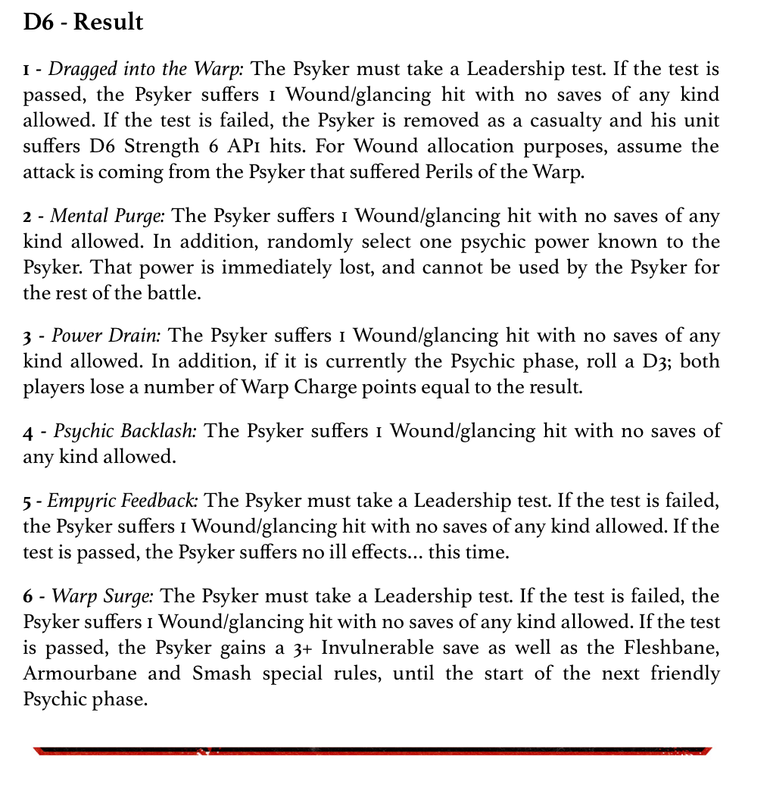 One of the largest complaints about 6th Edition was that the rule book was overly stylized, making it hard to read certain rules and making the digital and small companion versions of the rule book incredibly difficult to read. Opting to not use a plethora of images and watermarks has made the rules you are looking for very easy to find. For those that bought the eBook there will be no difficulty reading it, even on smaller screens and at lower resolutions.